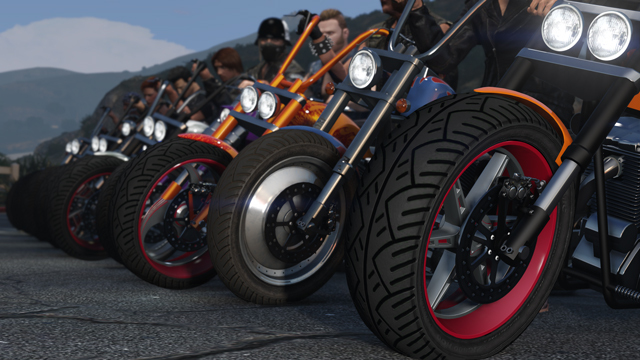 CREW UP: Join our crew and fight with us in MP3 and GTAV! And while loyal MCs will fight to expand their foothold alongside black-collar CEOs and Organizations, there�s always another opportunity to make your mark just around the corner. Keep an eye out for high-level, high-risk vehicle based business ventures to spring up across Los Santos and Blaine County soon. The latest free DLC for GTA Online is out now in the shape of Cunning Stunts. Good news for everyone who likes to perform stunning... stunts in the game. 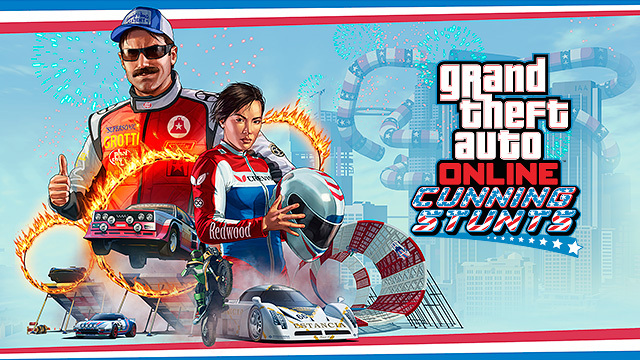 Cunning Stunts takes GTA Online racing to epic new heights with a series of 16 brand-new, high-octane Stunt Races that feature everything from winding tubular tracks amongst Los Santos� tallest skyscrapers to technical courses through canyons, over water and across the desert. Stunt Races utilize ramps, loops, wall rides, tubes, raised tracks and dynamic objects for a radically new take on GTA Online racing. Of course there's also the usual addition of brand new cars, clothing, accessories and whatnot. Unfortunately there's no way to create your own stunt races yet, though Rockstar have pointed out that this will be forthcoming on the 2nd of August, as well as more races and vehicles. If you want to win yourself some GTAV merch then Rockstar also have a sweepstakes open right now you can enter. If not, you could watch the trailer below, or you could read the full details on this update, or if that's not your thing there's always the full detailed patch notes. So yeah we're still alive... I know it's been a while since we last posted but no, we're not dead. Anyway, GTA Online is still going strong and Rockstar continue to provide free DLC updates for it. 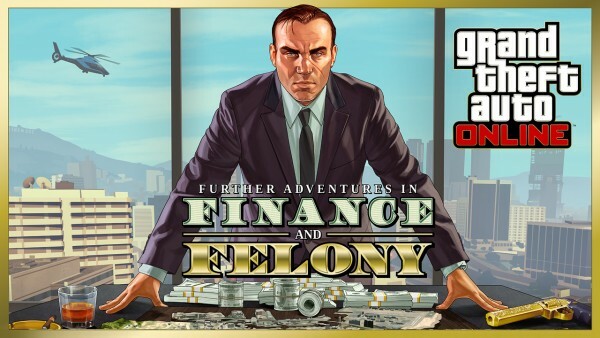 Next up is an update called�Further Adventures in Finance and Felony. Today they released a trailer showcasing some of the new content. Check that out below. 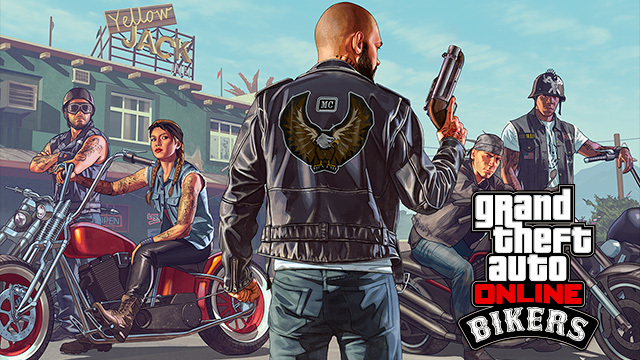 The DLC will hit your systems on the 7th June, and here's what Rockstar have to say about it.